Bangkok/Kathmandu, 26 August 2016: The Asian Forum for Human Rights and Development (FORUM-ASIA) is deeply concerned over the approval by the Cabinet of Bangladesh of the proposed legislation, ‘Digital Security Act’ with provisions that restrict online freedom of expression. The proposed legislation was adopted by the Cabinet on 22 August 2016. The proposed legislation provides for a wide range of draconian penalties that will seriously curtail the freedom of expression and exacerbate further shrinking of space for dissent. The proposed legislation includes a provision for a maximum penalty of life imprisonment and fines up to 10 million Taka for ‘dishonouring’ the Liberation War, judicial decisions related to it, or spreading false information about Father of the Nation Sheikh Mujibur Rahman. Accessing information illegally from any online site will attract an imprisonment of 14 years and 10 million Taka as pecuniary punishment or both. Five years’ imprisonment is prescribed for use of a false identity online to threaten someone. The proposed provision also includes punishment for loosely defined offences, such as the use of electronic devices to ‘harm country’s stability and its law and order’, ‘hurt religious sentiments and act of defamation’, or ‘carry out propaganda’. It further proposes the creation of an agency to be called the Bangladesh Cyber Emergency or Incident Response Team (Bangladesh-CERT) and subsidiary bodies, like the Digital Forensic Lab to monitor offences deemed ‘cyber terrorism’ and a National Digital Security Council to be headed by the Prime Minister to formulate national policies related to digital security. The proposed legislation is formulated to incorporate section 54, 55, 56 and 57 of the Information and Communication Technology (Amendment) Act, 2013 (ICT Act). These sections have been grossly abused in recent years to suppress dissent. Another area of great concern is that the proposed legislation claims jurisdiction over both Bangladeshi citizens, residing in and outside the country, but also over non-citizens residing in or outside Bangladesh. In Bangladesh, cyber laws have been grossly misused as a tool to silence free thinkers, journalists, human rights activists and political opponents. On 9 August 2016, three journalists were jailed without bail for their alleged role in spreading rumours about the plane crash involving the Prime Minister’s son. Booked under section 57 of the ICT Act, they risk 14 years of imprisonment. Scores of bloggers have been booked under the same act for using social media to express their opinion on issues of religious extremism, secularism and atheism. In the face of such a systematic clampdown on freedom of expression, the justice system continues to fail to display the will and capacity to hold the perpetrators accountable and provide redress to victims. FORUM-ASIA strongly urges the Government to immediately suspend the enactment of the proposed draconian legislation, which contravenes Bangladesh’s international human rights obligations and the central principle of democratic governance. 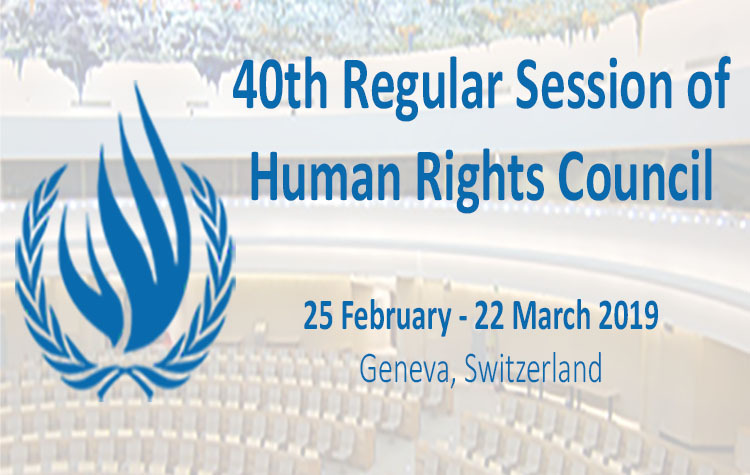 FORUM-ASIA reiterates that the violation of human rights cannot be condoned under any circumstances. Find the official text of the Digital Security Act in Bangla here and a translation in English here.